TIME4CHANGE is an innovative training and events organisation with areas of interest in the fundraising, corporate and therapeutic sectors. New clients are constantly astonished at the significant levels of sponsorship monies raised for an event over a single evening on a fundraising event like Firewalking. Our best fundraising total to date was over £75,000.00 profit in a single evening for The Rainbow Trust. 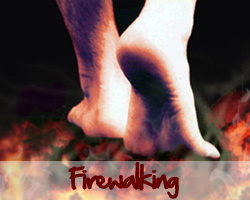 We get a similar response from individuals who have worked with other firewalking providers in the past but were disappointed with the outcome. 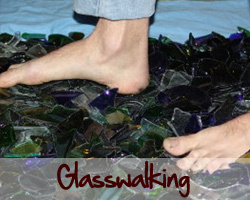 With this in mind, we recognise the fact there are many UK companies offering firewalking on a sponsored template and the choice of which provider to select can be problematic, especially when some companies claim they are the one and only “authentic” and “true” firewalking provider! The professionalism and flexibility of our approach coupled with over twenty years of experience allows us to offer our Transformation Workshops on either a fundraising, corporate or therapeutic template with each event specifically tailored to your needs. 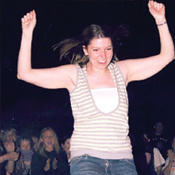 These are both great examples of Team building or charity fundraising events. 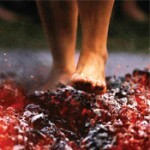 "Firewalking is the act of walking barefoot over a bed of hot embers or stones. It has a long history in many cultures as a test or proof of faith, and is also used in modern motivational seminars and fund-raising events."